At Pendle Hill, 338 Plush Mill Road, Wallingford, Pennsylvania 19086-6023. A special evening with Robert, open to all, is a Fundraiser for Heart-to-Heart. Each of us passionately yearns to live a life that is fully alive and REAL – a life where you feel a deep sense of genuine, heart-felt connection and an awareness that you are at home… It’s a journey that takes place in your heart – and in your heart-to-heart experiences with others. 80 persons attend and $4,000 is raised to support the work of H2H in prisons. rates. Click Register button ( below) for more info. There is a basic life current or impulse resonating in and through us as a yearning of the heart, this current and yearning manifests as human needs. Beyond the basic NVC communication process of expressing and receiving our observations, feelings, needs and requests, lies the heart and root of compassion for ourselves and others... a living practice Robert refers to as "Living Compassion." The purpose of this retreat is to develop a living practice of Nonviolent Communication - to live more deeply connected to the Heart of others and oneself, connected to our deepest needs and longings. Robert Gonzales will introduce practices that develop self-awareness, self-compassion and living compassion in relationships. 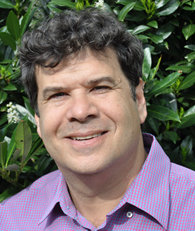 Robert Gonzales is the most sought-after Nonviolent Communication trainer in the world. 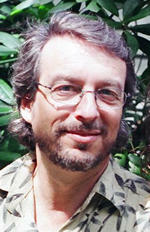 Robert leads Nonviolent Communication Trainings throughout Europe, The United States, and Australia. More people travel more miles to learn and grow with Robert than any other Nonviolent Communication trainer.. The “Relating Heart-to-Heart” retreat in February is one of only two presentations Robert will be making on the east coast of the U.S. in 2015. The other will be in Maine in the November. A number of factors make learning with Robert life-changing for so many people. One is the quality of his presence. Robert shows up, powerfully empathically present to each person that is before him. A second is that Robert points learners beyond technique, to a larger Presence that is at work. He is gifted not only at passing on inspiring exercise and practices, but also at leading people into an experience of their own spaciousness and beauty. And third, Robert comes from vulnerability. He teaches not as an expert, but from his own vulnerable, open-heartedness. This models a way of leading for many of us who teach and train others. These three factors, and more, have us excited by the promise of the “Relating Heart-to-Heart” retreat in February retreat. We can feel already the community being formed, the open-heartedness being cultivating, and a spaciousness emerging. This promise, along with some of the most useful practices and tools for connecting to others and self, has led over forty-five people to register already. You may want to sign up soon, as space is limited. Many of us who are using NVC in our lives, as well as many other counter-cultural approaches like veganism, home schooling, non-materialism, etc. are basically taking on the whole existing culture on our own. As a result, we end up designing our lives piecemeal: a little of this, rejecting that, etc. Ever wonder what it would be like to live your life inside a community that not only supported, but encouraged your choices? That's the idea behind New Culture. We see it as the next big thing after NVC, because it creates a field of non-judgment in which to practice non-violence. For me, New Culture is about freedom. Freedom from limiting beliefs which got in before we had a chance to decide whether or not the beliefs which are transmitted in our particular subset of the wider culture that we received which are actually true for each of us. So, for me, New Culture is about truth, your individual truths. These truths are relative, not absolute. I like to think of them as the particular way my soul managed to manifest into this life. I’m not sure I believe in reincarnation or past lives as a fact, but I like these ideas as a metaphor for the larger, wider perspective that New Culture has brought into my life. So for me, New Culture is about having a wider perspective than the preconceived way the existing culture assumes things to be. I have always been a “none of the above” kind of guy. The first multiple choice test I took had that as its options: A, B, C, D or E: “None of the above.” I loved that! If none of the choices offered are perfect for me, there’s still choice. Another choice not offered by the culture explicitly, but offered implicitly by the simple fact that none of the choices offered fit me. So for me, New Culture is about choice, and the assumption that there is a choice which does fit me perfectly. Okay, perfect is a little strong (at least the old culture’s definition of it). This is a dynamic perfection: one that fits me now – expresses everything I know about my own truth at this point – and is by further implication, open to change as I come to know myself better. And so for me, New Culture is about knowing oneself, and coming to know more and more perfectly, accurately, and uniquely who I am and what is true for me. And therefore, wanting to know what is true for others, without my assuming I know (either because, as the existing culture assumes, we all feel similarly and are subject to the same universal truths; or because since I know me, I therefore know the universal truth, and therefore know you). So for me, New Culture is about difference: acknowledging that I am different from moment to moment, and that you are different from me and even from what I thought I knew about you. So our monthly New Culture Evenings are a chance for our new, growing community to explore and experience freedom, choice, truth and difference; an exploration to unpack one topic a month through this wider perspective. Time and Place: We'll meet at Rivers Manor, 508 E. Sedgwick St, Phila, PA 19119 (East Mt. Airy). Topic: In January, I’d like to explore intimate relationships using this process, in particular, monogamy and polyamory. Cost: Evenings are free. Please pre-register so we know how many to expect. You can come to all or part of any evening - it's your community. Anyone who wants to help with organizing, facilitating or whatever, let Max know. Let’s make our potlucks be in the spirit of the New Culture, as well. Food, it turns out in our existing culture, is riddled with limiting beliefs and behaviors that contradict many of our strongly held values. This as a result, largely, of the fact that our culture values profit over everything else (even in areas as crucial for all of our wellbeing as food, shelter, freedom, equality and democracy). For instance, you probably value your health, and believe that sugar, caffeine, chemical preservatives, pesticides, antibiotics and maybe even red meat are not healthy for you. For these potlucks, let’s assume the answer is: “E. None of the Above,” and spend some time thinking about what you could bring to a potluck which would be aligned with your deepest truth about your own health, happiness and wellbeing, and what you would want to feed your community assuming you love them and care for and about them. We’ll spend some time during the meal chatting about our choices. These Monthly evenings designed to keep the spirit of the New Culture Weekend in March (see below) as a living part of our lives. Does it feel like you're missing some key skill to connect with the younger people in your life - no matter what their age? Do you spend precious time arguing over small stuff? Do you find yourself resorting to bribery to get your grandchildren to do things? Learn a few skills that will empower you to communicate with them successfully. You'll learn how to respond to the younger people (children/grandchildren) in your life in a way that can transform potential conflict into win-win situations. Bring your real-life challenges and we'll help you develop new ways of dealing with old stuck places. Facilitated by Max Rivers, Rivers Mediation. Directions: The address here is 45 Forest Ave. Ambler. We are between N. Ridge and N. Spring Garden just a couple of blocks north of the main street, Butler Ave. We have a large parking lot in the back. To enter the building, go to the right front of the lot and down the stairs. So our New Culture Intro Evenings are a chance for our new, growing community to explore and experience freedom, choice, truth and difference; an exploration to unpack one topic a month through this wider perspective. Cost: Evenings are free. Please pre-register so we know how many to expect. These Intro evenings designed to help people decide if the New Culture Weekend in March (see below) if for you. the way to spell NVC is F-U-N! The focus of these retreats is practice, practice, practice. Expect to speak NVC from the moment you arrive, through all the exercises, and even at the BBQ! You'll also be introduced to the latest NVC technology like the "7 Step Walk Your Talk" process" (which you can do at home), the "Self-Responsibility Scale" and more. When you decided to marry, your relationship was reflecting the love you had within you, and the hope you brought to that time of your life. If your marriage is now reflecting a different view of you: frustration, stagnation, hopelessness, it's easy to blame that on your partner or to assume the marriage is bad or wrong. Every journey has times of ease and times of challenge. When a marriage is in trouble, it is a reflection that it's time to attend to your personal journey. Are the challenges ahead the kind that you and your partner can navigate together; or are they the kind that indicate it's time to travel separately? In this workshop, you'll be guided by both a professional marriage mediator and a divorce companion in exercises that will help you find yourself again. Thursday, Oct 23, 7:30-9 pm at Rivers Manor. PLUS: FREE private phone evaluation with the presenter of your choice (a $75 value). Marriage is a dynamic, ever changing landscape that is an outward reflection of your own internal state. Max Rivers, TheMarriageMediator.net, helps couples learn the skills needed to create the marriage you envisioned when you said "I do". Adina Laver, divorceessentials.net, is the Divorce Companion who specializes in divorce coaching and support services for those who are considering, in the midst of, or post-divorce and are committed to a healthy path for reclaiming their lives. Listening is the most powerful skill you can have to avoid conflict, and create intimacy. Besides learning new Empathy Skills and in-class practice, you'll be given an Empathy Buddy to do daily practice with! Cost: $25/class = $100 for each or $80 for all four if paid before first class. My work is paying off and I am able to provide some comfort and reassurance and empathic listening to my father and mother....And my brother and I also finding ways to connect and share responsibility and offer support to each other. My clear expression of my needs, and willingness to listen to his, and growing ability to make clear requests is making a huge difference...Thanks for your part in my becoming more "resourced". You can still drop in any Monday to this class! This is the Foundation of the Foundations of NVC. If you're curious about NVC, this is the place to start! Also a great place to REALLY get NVC down to your bones. We'll be going over all the obstacles to using NVC in your life: judgments, strong feelings, etc. Class is designed so you can drop in any time, though students who take the whole class report life-changing results! Requirement: None. Join any time. Your First Class Special Offer: If this is your first NVC Class, it's free! Package Deal Special Offer: $60 for four classes to anyone who prepays* before first class (one free class). $70 if you pay on the first class or $80 if you pay for every class. Click here to register and pay online to get the discount! Register for Foundations of NVC classes and attend them LIVE from the comfort of your home! All you need is a webcam and a browser! Students are required to have the book : Nonviolent Communication: A Language of Life available during the first class for $25. *To prepay, click here to pay online, or send check made out to Max Rivers Mediation to 508 E Sedgwick St, Phila 19119 or call number below with credit card info. Prepayments are nonrefundable. We'll go through one chapter each week of Marshall Rosenberg's book: "Nonviolent Communication: A Language of Life." Requirement: None - it is recommended you take Foundations I, but not required. Join any time. Package Deal Special Offer: $60 for four classes to anyone who pays before the start of the first class. $70 if you pay for all four on the first class or $80 if you pay for every class. I keep meaning to thank you. 2010 was really a good year for me after those classes ... it's so much easier to connect with people, easier to resolve my own internal conflicts, and my friends comment on how calm and empathetic I am in a crisis and they seem to rely on me more often for someone to talk to. To be honest I haven't been consciously "trying to use NVC" ... it just affected my perspective in a very good and peaceful way. We'll start out with an optional pot luck at 5:30pm-7pm. Anyone who brings a dish gets to stay for Game Night for FREE. At 7:30 we'll do three, fun communication games. These games are designed to show you how to use your communication skills in a way that not only seamlessly creates more intimacy, but is guaranteed to be fun. Even if you're shy, you'll have fun watching as part of the Game Night fun. PhillyNVC members and potluck contributors come FREE. $5 for everyone else who prepays, or else $10 at the door. Couples support and skill building. Ready to apply your NVC skills to a real world project? In this class, you'll design and begin implementation of a world change project using your advanced NVC skills. We'll help you pick a project, plan it, and begin implementation. Prerequisites: Foundations I-III (or the equivalent - ask Max if you have a question) and is only open to PhillyNVCommunity Members. Time: 6-7:30 (with option to stay until 9:30pm) Potluck or pay $10 for food. Class discussion over food. Coparenting support and skill building. Parenting is the hardest job you'll ever love. But how do you do it well? Like you were parented? The opposite? And how do you choose between your way and your spouse's way? 1. What kind of parent do you want to be? 2. How do you negotiate with your spouse to gracefully coparent? 3. How to use NVC with your children. $15 for onsite childcare/child on Saturday. The kids have moved out, maybe one or both of you are now retired; in any case, you suddenly have more time together than you have in decades. What now? Research shows that you are entering what many couples report as the best years of their life and relationship. In this hour-and-a-half course, we'll remind you how to have fun together, teach you some skills that will make these next years better than you ever imagined. Come prepared to laugh, learn and reconnect. Bring your spouse or come alone. This class will also be helpful for people between relationships seeking to improve their partnership skills. This 10-day Quest with canoes is an adventure where we invite you to paddle among the loons, portage from one lake to the other, begin unforgettable friendships, swim, relax, play, and laugh uncontrollably in the beautiful setting of Papineau-Labelle Wildlife Reserve. Play in the Wild! Animators will offer opportunities in Being Nonviolence through Taiji (Tai Chi), Qigong, Yoga, Mindfulness Practices, Journal Writing, Meditation, Nonviolent Communication, Storytelling, Vision Quest, Canoeing, Swimming, Tracking the Inner and Outer Wild, Cooking, Outdoor Leadership Skills and Games, Wilderness Skills and lots more! Animators on team for this Quest will be: Catherine Cadden, Jesse Wiens, Melanie Whitham, Colin Perreault, Kodiak Drewry and Eve Penberthy. Wild! Fire CircleWe will engage in the practices of becoming more attuned to what motivates us and choosing strategies that will bring the most aliveness and connection to ourselves and the group. We will create a safe nonjudgmental environment focused on Being Nonviolence. This requests each of us to leave alcohol, recreational drugs, guns, weapons, and smoking at home. After opening circle we will have a ceremonial “unplugging” where we will place all electronics in a safe space to be held for the duration of our time together. This is to give us a unique journey of returning to connection with ourselves, each other, and the land we live on. Folks are welcome to “plug” back into the matrix after closing circle. Hours from this training can be applied to certification with the Center for Nonviolent Communication and may apply towards course study in certain schools or CEUs. We will create a rotation of leadership and support to provide meals for the whole group. We will provide organic lacto-ovo vegetarian meals. In the tradition of Play in the Wild!, these will be gourmet, unique, delicious flavors from around the world adapted for the trail. Air travelers should plan to fly into Montreal – Pierre Elliott Trudeau International Airport (YUL). Plan to arrive between 10 a.m. and 3 p.m. on July 31st. Plan your departure for August 9th between 3 p.m. and 5 p.m. Play in the Wild! will provide transportation to and from the airport for air travelers. Local participants should plan to be dropped off and picked up at our base camp, Ferme du Bord du Lac, on Île Bizard, 30 minutes from the airport. More details will be provided with your registration packet. $1244 Tuition – This contribution covers costs of insurance, materials, all food, transportation and equipment rentals for the Quest, sustainability for Play in the Wild! and the Animators leading the training, and miscellaneous surprises. If you are concerned about your ability to meet the Tuition request, but feel genuinely called to the Canoe Quest, we invite you to still apply. During our interview, we can help you find a creative solution, and discuss alternative payment plans. If you are able to contribute more than the requested amount and would like to help make this Training accessible to everyone regardless of where they come from, consider making a donation. Your donation can be applied directly towards the Tuition of applicants with limited financial resources. Click on the Sign Up Here! button at the bottom of this page to fill out an online Application and submit your $25 application fee. After we receive your Application and application fee, we will schedule an interview with you by phone or Skype to see if this program is a fit for your needs and to assess medical or behavioral histories that could pose a threat to your safety or the safety of others. If there is mutual agreement in the interview that the program is a fit, then we will send you a Registration Packet. Fill out the Registration Packet and return it to Play in the Wild! along with your full $1244 Tuition (unless an alternative financial arrangement has been made during your interview). Once we receive both your completed Registration Packet and full Tuition, you are fully registered. Until then, we will not guarantee your place in the Canoe Quest. If you have any questions about the Canoe Quest, including the Registration process, feel free to contact us. We are happy to respond. This 9-day Quest is a backpack adventure through the Eldorado National Forest. We will journey in the High Sierras and stop to camp at Dardanelles and Round Lake. Play in the Wild! Animators will offer practices in Being Nonviolence through Yoga, Mindfulness Practices, Meditation, Nonviolent Communication, Storytelling, Vision Quest, Swimming, Tracking the Inner and Outer Wild, Cooking, and lots more! Animators on team for this Quest will be: Catherine Cadden, Hannah Muller, Kodiak Drewry, and Eve Penberthy. We will engage in the practices of becoming more attuned to what motivates us and choosing strategies that will bring the most aliveness and connection to ourselves and with the group. We will create a safe, nonjudgmental environment focused on Being Nonviolence. This requests each of us to leave alcohol, recreational drugs, guns, weapons, and smoking at home. After opening circle we will have a ceremonial “unplugging” where we will place all electronics in a safe space to be held for the duration of our time together. This is to give us a unique journey of returning to connection with ourselves, each other, and the land we live on. Folks are welcome to “plug” back into the matrix after closing circle. Hours from this Quest can be applied to certification with the Center for Nonviolent Communication and may apply towards course study in certain schools or CEUs. We will create a rotation of leadership and support to provide meals for the whole group. We will provide organic lacto-ovo vegetarian meals. In the tradition of Play in the Wild!, these will be gourmet, unique, delicious flavors from around the world especially suited for the trail. International and out-of-area students flying into California- plan to fly into San Francisco International Airport no later than 9pm on July 10th and depart no earlier July 20th. We will provide pick up at the San Francisco International Airport on July 10th. We will provide drop- off at the San Francisco International Airport starting at midnight on July 19th and all day on July 20th. Local students will be notified about where we will meet up in Marin, Sacramento, and El Dorado Counties for pick up on July 11th and drop off on July 19th. $1141 Tuition – This contribution covers costs of insurance, materials, all food, park fees, transportation and equipment rentals for the Quest, sustainability for Play in the Wild! and the Animators leading the training, and miscellaneous surprises. If you are concerned about your ability to meet the Tuition request, but feel genuinely called to the Backpack Quest, we invite you to still apply. During our interview, we can help you find a creative solution, and discuss alternative payment plans. Fill out the Registration Packet and return it to Play in the Wild! along with your full $1141 Tuition (unless an alternative financial arrangement has been made during your interview). Once we receive both your completed Registration Packet and full Tuition, you are fully registered. Until then, we will not guarantee your place in the Backpack Quest. If you have any questions about the Backpack Quest, including the Registration process, feel free to contact us. We are happy to respond. 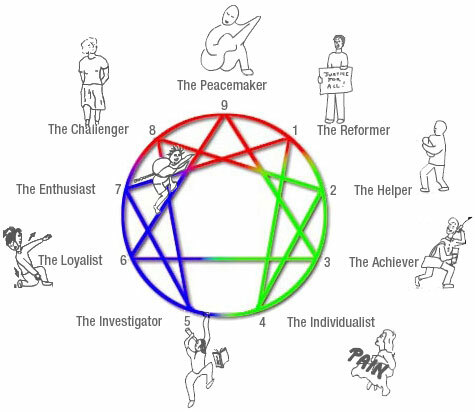 The Enneagram is a personality system that describes 9 unique vantage points from which to see life. Even though we have all 9 "types" in us, one is more basic to your motivation, thinking and behavior. Discover your core type and how to communicate well to types that challenge you. Herb acts out each type with hats, interviews people to determine your core type and points out growth and relationship tips unique each type. Look forward to an experience of insight, humor and personal revelation that can change your life. Herb Pearce, M.Ed. in Counseling, is an individual, couples and family psychotherapist, personal life coach, and Enneagram and Myers-Briggs trainer. 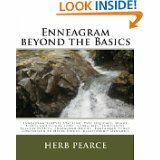 He is the author of Enneagram Basics, Enneagram Beyond the Basics and Herb's Tips for Living, all of which will be available for purchase at the workshop. With over 33 years experience working with thousands of people and organizations, Herb has coached people on understanding personality differences and how to communicate to those differences. 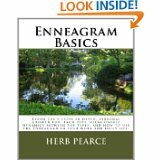 He is a leading expert on the Enneagram and has taught 2000 Enneagram workshops in the United States and Canada. www.herbpearce.com, herb@herbpearce.com, 781 648 3737. Spend a weekend with Stephen Michael, a special guest, and up to ten other people who are interested in developing their ability to speak authentically and from the Heart and to listen effectively and compassionately. For more information on this retreat, to register - contact Susan Weiss at (856)236-0183 or email her OR contact Stephen Michael Tumolo at (609)707-5900 or email . Steve … is an educator who teaches Nonviolent Communication as developed by Dr. Marshall Rosenberg and the body's natural way of healing trauma, Somatic Experiencing, as developed by Dr. Peter Levine. He has a Master's degree in Theology from Maryknoll School of Theology. 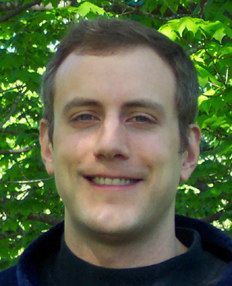 He facilitates a group for male survivors at The Starting Point in Westmont, NJ and works there with individuals, couples, and families. He currently leads the "Heart-to-Heart" program for men incarcerated at Bayside State prison and has led educational groups for incarcerated men for over seven years. You can still drop in any Tuesday to this class! 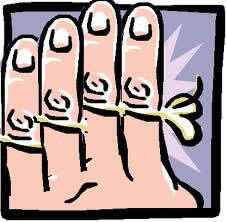 Package Deal Special Offer: $40 for four classes to anyone who prepays* before first class (two free classes). $50 if you pay on the first class or $60 if you pay for every class. Package Deal Special Offer: $80 for five classes to anyone who pays before the start of the first class. $90 if you pay for all four on the first class or $100 if you pay for every class. easier to resolve my own internal conflicts, and my friends comment on how calm and empathetic I am in a crisis and they seem to rely on me more often for someone to talk to. To be honest I haven't been consciously "trying to use NVC" ... it just affected my perspective in a very good and peaceful way. Judy Morgan will be hosting a free, Empathy practice group. The focus of the practice group would be to explore feelings and needs in specific conflict situations (we can make them up or use our own experiences), and then role play how they could be handled. The group will eventually rotate facilitation but in the beginning will be facilitated by Max or Judy. To join this group, and get the East Mt. Airy location, please email Judy. What is an Empathy Group? Empathy groups usually meet weekly, and whoever is in need of some empathy requests time. You can either select a member to be your empathizer, or let the whole group interact with you. I recommend that after each session, you discuss what worked and what didn't, so you can keep learning how to do empathy better and better. Empathy Buddies usually exchange sessions over the phone. Some buddies call daily, some people have more than one buddy, so they can have sessions whenever they want. Usually you share the time, and take some time at the end of the call to discuss what worked and what didn't, so you can keep learning how to do empathy better and better. In this class, we'll teach you a few, simple-to-master skills that will empower you to communicate with young people successfully. Using NVC (Non-violent Communication), you'll learn how to respond to the young people in your life in a way that can transform potential conflict into win-win situations. Bring your real - life challenges and we'll help you develop new ways of dealing with old stuck places. We'll be doing 4 every-other-Tuesdays starting on Nov 6th (other dates are 11/20, 12/4 and 12/18). Classes will be 2 hours starting at 7:30pm at Rivers Manor. • we’ll set up empathy buddies for the people in the class for 2 weeks at a time. Or if you want to just come to some classes, it will be $20 at the door. During the weeks between classes, Judy Morgan will be hosting a free, Empathy practice group. She says, "Tentatively, we will have an informal practice group on the alternate weeks meeting on Sundays, at 7:00 pm. Two meetings left: 12/16and 12/23. When we have established our journey to hearing others empathically and expressing ourselves from our hearts, requests are how we connect to the life in others and help others understand the aliveness in us. They are also how we "get things done" in the context of this connection and understanding. Requests are the practical and profound tools we can use to deepen connection and understanding, engender compassion and transcend conflict. In this intensive we use the sum of skills and awareness developed in previous intensives to make NVC a powerful agent for connection and movement. In this advanced practice, requests help us reconnect to our needs and see our "demands." Requests give us an opportunity to transform how we see and act with others and to live in a "voluntary world". *Payment plans and some work exchange are possible. This 6-hour distance learning course gives you an empowering approach to coaching based on Nonviolent Communication consciousness. Together we will explore how the wisdom of Buddhist consciousness and the tools of Nonviolent Communication can work together to transform suffering into peace of mind and how they can help raise compassionate awareness in everyday life. This International Intensive Training is a 9-day, Nonviolent Communication immersion experience. call at 570-297-2270 or send me an email. Nonviolent Communication offers a powerful set of tools and inspiring perspectives that support people in living their values, and in speaking and acting in ways that say "You matter!" to everyone involved. This will be the 9th year that NVC partitioners and those wishing to know more about NVC gather together for immersion and community for a week long "intensive" practice of Nonviolent Communication. Many lives have been touched by this annual retreat. The New York Intensive is known for offering simultaneous sessions for beginning, intermediate, and advanced levels in NVC. At the 2012 New York Intensive there will be three trainers, Kit Miller, Liv Larsson, and Roxy Manning who have collectively had over thirty-five years of training experience. Kit Miller, from Rochester, has a speciality in nonviolence, intentional communities, and sustainability. Liv Larsson, from Sweden, the author of ten books, including The Helping Hand, specializes in trainings on mediation, intimate relationships, and shame. Roxy Manning specializes in leadership development, diversity, and social justice. There is an NVC Fundamentals track, for beginners, and many more sessions of a more advanced level for those who are ready to move past the basic skills. There are no prerequisites; everyone is welcome, so please join us in our 2012 adventure on the path of NVC! Please visit the website at newyorkintensive.org for more information or to register! 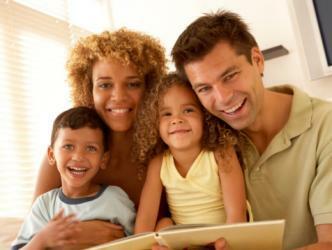 Would you enjoy more Harmony, Ease, Authenticity, Respect and Trust in your family? Then consider Family HEART Camp - an unforgettable one week's immersion in Nonviolent Communication for families, held in an oasis of natural beauty near Washington DC. What is Family HEART Camp all about? Our dream is to create a community where parents and children thrive in an environment of care and mutual respect, supported by experienced staff and each other. We want to make it possible for families to learn new skills for harmony, peace and cooperation together, with lots and play and fun for everyone! "I have never experienced such dedication as I did from all the staff members! Unbelievable. I also enjoyed the support and connection with all of the participants. Thank you so much for the experience." "We enjoyed connecting with so many people who value compassionate relationships and my family is committed to working to embody NVC in our lives. We�re hoping to return next year!" "This experience was very valuable for us as a family as a new beginning of how we want to communicate to each other and beyond! The ability to meet without the children was pivotal and addressing real situations helped to support the practice." 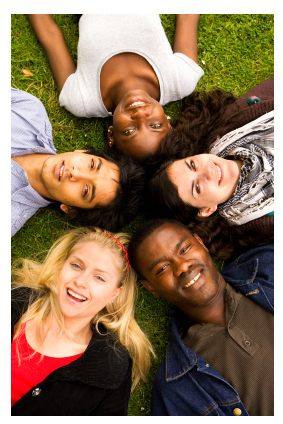 We are also looking for experienced NVC practitioners to volunteer in the youth program. You'll get deep practice learning the NVC listening skill of empathy over five Tuesday evening classes. 7:30-9pm. Cost: $25/class or $100 for all five if paid before first class. Remember your wedding? Those first years? How special and important your marriage was to both of you? It is still that precious, and still has all that potential and more! If you've been too busy or are just baffled about how to find the fun in your marriage, we'll play three communication games for couples that are proven to be easy, safe and lots of fun. And they will teach you some skills which you can take home. If your spouse is reticent, ask them to come for the snacks - they won't have to participate - just observing will give them ideas about what you want and how to give it to you. (Committed unmarried couples are also welcome). If you've studied NVC or done Marriage Mediation with Max in the past, this Sunday afternoon event is the perfect way to recommit to your relationship. This is a great way to keep working on your issues in a cost-effective, group setting. Everyone present will get some time each session. Couples report that they learn as much or more during the time they are watching other couples work on their issues - and it's a lot easier to listen to them! Our Price: $200 for four sessions. The $50/session includes you and your spouse! Foundations 1 members Special Offer: $50 for Foundations II classes if prepaid. All couples have disagreements, but why? Did you know that research now shows the single best indicator of divorce is the way a couple speaks to each other? In this class we'll explain what causes conflict, and teach you a few easy-to-learn techniques that will turn 80% of those potential arguments into opportunities for greater intimacy, instead of frustration and anger. We'll share with you our skills as professional couples mediators and NVC* instructors. Bring your spouse or come alone. This class will also be helpful for people between relationships seeking to improve their partnership skills. This class will teach you how to use simple Neuro-Linguistic Programming (NLP) techniques to help children relax, focus and become attentive listeners and learners. NLP will help you choose language that can help your children's open, creative, curious part of their minds (the unconscious) come to the surface. Children spend most of their awake time (and all of their sleep time) in this state. This class will teach you how to guide your child, or even a whole class of children into this naturally receptive state with your choice of words, tone, etc. so they get the benefit of learning using the larger, more receptive part of their brains. In one or two well crafted sentences I can take a noisy, chaotic class and have them quietly attending to challenging, brand new information - participating calmly and feeling deeply involved. This should be a required class for all teachers and parents. $19. Free to Philadelphia Public School teachers - call the MALT office to register. So NVC has resolved your conflicts, what's next? Couples often come to Max with problems and issues that need resolving. Even after working through the Teamwork Mediation method, a lot of couples still have their focus on solving problems and keeping the peace. But that's not why you got married, was it? NO! You wanted fun, pleasure, intimacy. So here is a cost-effective way for your and your spouse to learn the next set of skills after NVC: how to enjoy your spouse and your marriage. $100 includes you and your spouse! Continue improving your relationship in this small, cost-efficient group over four Sunday afternoons, 2-4pm. 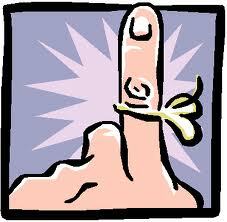 Learn or review the four steps in speaking NVC over four Tuesday evening classes., 7:30-9pm. 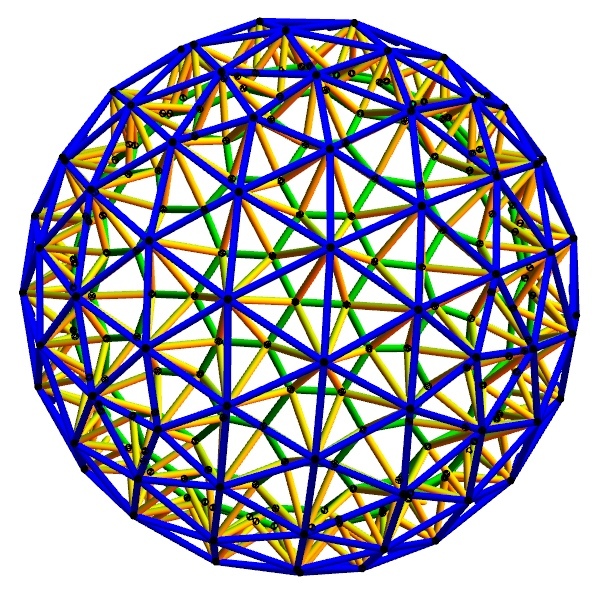 What comes after NVC solves your conflicts? PLEASURE! Come alone or with your spouse, and spend four Monday evenings learning how to enjoy connecting with your spouse, 7:30-9pm. Our Price: $ $50 for this 3.5 hour playshop. $50 includes you and your spouse! Marriage Mediation from your home! From the convenience of your home, you and your spouse can join in this Mon nite class 8-9pm Jan 9,16,23 & 30th. All you need is a computer with a camera and the free Skype software. For just $100 you get all 4 hr-long sessions. Each couple will get the same help from Max, The Marriage Mediator, that private session couples get for $200/session. Questions? Call or email Max. But hurry! Starts Jan 9th. From the convenience of your home, continue improving your relationship in this small, cost-effective group over four Monday evenings online, 8-9pm. Learn or review the basics of NVC in four Tuesday evening classes, 7:30-9pm. NLP for Parents and Teachers: Trance-form Unruly Children with a Few Easy Skills. This class will teach you how to use a few simple linguistic techniques that we hypnotists use to help your charges relax, focus and become attentive listeners and learners. "Trance" is just a scary word for letting the open, creative, curious part of the mind (the unconscious) come to the surface. Children spend most of their awake time (and all of their sleep time) in this state. This class will teach you how to guide your child, or even a whole class of children into this naturally receptive state with your choice of words, tone, etc. so they get the benefit of learning using the larger, more receptive part of their brains. In one or two well crafted sentences I can take a noisy, chaotic class, and have them quietly attending to challenging, brand new information - enjoying participating calmly and feeling deeply involved. Judy Morgan is interested in creating a practice Group. Free! Alternate Thursdays, 6 to 7:30 pm, at the home of Judy Morgan in Mt. Airy. Will include reading passages from Rosenberg and others, discussion, and role plays, collaboratively led. If you are interested, contact her at judymorgan711@yahoo.com.
" Bring NVC to your workplace without sounding "touchy-feely"
Miki Kashtan, with laser like insight and understanding, will guide and support retreat participants through discussion, exercises, group work and role plays in a way that will expand the capacity to use our own words while staying in NVC consciousness. This residential retreat is geared towards people at various levels of skill, ranging from people who want fluidity in their use of the language to NVC trainers who want to increase their capacity to share NVC in a variety of settings.
" Reaching more flow with NVC to have your NVC practice feel and become natural.?
" 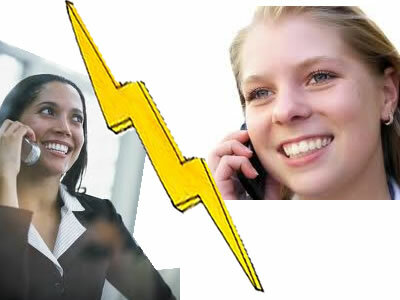 Strengthen your ability to connect across differences.? All couples have disagreements, but why? Did you know that research now shows the single best indicator of divorce is the way a couple speaks to each other? In this class we'll explain what causes conflict, and teach you a few easy-to-learn techniques that will turn 80% of those potential arguments into opportunities for greater intimacy, instead of frustration and anger. We'll share with you our skills as professional couples mediators and NVC* instructors. Bring your spouse or come alone. This class will also be helpful for people between relationships seeking to improve their partnership skills. Can you stop me from smoking? In this experiential class, you'll learn what hypnosis really is, and get to experience a light trance. For some of you, this single session may be enough to change life-long habits. Requirement: You must have taken Foundations I, II and III or the equivalent (if you've studied NVC elsewhere, please contact Max about prerequisites). Cost: $25/class, or $90 if prepaid* before first class, $100 if you pay on the first class. *To prepay, send check made out to Max Rivers Mediation to 508 E Sedgwick St, Phila 19119 or call number below with credit card info. Prepayments are nonrefundable. Package Deal Special Offer: $80 for four classes to anyone who pays before the first class. $90 if you pay for all four on the first class or $100 if you pay for every class. Students are required to have the book : Nonviolent Communication: A Language of Life available during the first class for $20. Our first Transitional Lead Trainer-lead IIT will be held in Rowe, Massachusetts, USA, April 13-22, 2011, with John Kinyon as Transitional Lead Trainer, and Barbara Larson and Doug Dolstad as Support Trainers - all of them experienced IIT trainers. John has been working closely with Marshall for the last 14 years, including being a Support Trainer at over 20 IITs, while Barbara and Doug have been Support Trainers at IITs for the last 6 years. The IIT will be held at the beautiful Rowe Camp & Conference Center, a location where both Marshall and John have enjoyed holding trainings in the past. In celebration of the recently re-opened certification process, and in hopes that it may support our registered certification candidates’ flow of training, we would like to offer registered certification candidates a 15% discount in the April 13-22, 2011 IIT in Rowe, Massachusetts, USA. Regular tuition is $1,800, which makes registered certification candidates’ tuition at this IIT $1,530. Previous IIT participants are also eligible for a 15% discount. Please note: accommodation and travel are additional charges, as noted in the Basic Information Sheet. These offers does not combine with the 10% "Early Bird discount" for participants paying in full by February 12, 2011.
core practices of Compassionate Listening. Leah Green is the founder of the Compassionate Listening Project. The curriculum has grown from her decades of reconciliation work with Israelis and Palestinians, as well as the remarkable community of Compassionate Listening facilitators. Leah has produced three documentaries, and co-founded the Jewish-German Compassionate Listening Project. She received the 2003 Yoga Journal Award for Selfless Service; her work has been profiled in numerous books and articles. Leah facilitates and teaches worldwide. at the end, according to your perceived value and ability to pay. Partial Scholarships are available for those in need. To register online: http://arcadiauniversity2011.eventbrite.com/ or call: 360-626-4411. Hi! I’m interested in connecting with others who might be interested in the program by Miki Kashtan described below, or generally networking on how NVC can be used in social activism. I would definitely sign up for the program if others in Philadelphia are interested, since it would be more appealing for me to do it if there were a local group. If you are interested, please contact me at 512-626-5074. (I’m currently in Austin but moving to Philly shortly.) Thanks!! Are you eager to translate your vision of a world where everyone's needs matter into a tangible reality? Do you long to discover your unique role in responding to the challenges of our times? To Register and for details: click here. 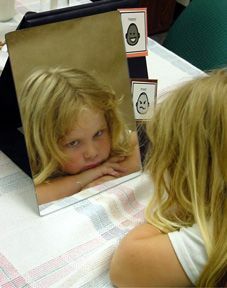 Give yourself the life changing gift of self-connection by joining us for our intermediate/advanced NVC training in January... "What I Tell Myself," the NYCNVC Self-Empathy Intensive. Take your skills, understanding and practice of self-empathy and empathy to a new level. Learn practices you can use to create more harmony, flow and meaning in your life, not only through the New Year, but for the rest of your life! Registration: by phone (646 201 9226) or email (eventcoordinator@nycnvc.org). Phone call includes a dialogue (usually 5-10 minutes) regarding your NVC experience, physical needs and comfort, training needs, understanding of details (times, dates, payments and so forth), plus any preparation we imagine would add to your learning. Are you called to develop the fullness of your own being? If so, please join us for the East Coast Women's Retreat!
" Being Grounded in "Yes"
We also will hold space for dancing, singing, drumming, walks on the beach, and time around the fire. For an additional fee, you can also do a challenge course at Camp DeWolfe. Take 10% off the program when you register with one other person; take 15% off when you register with two or three people; and take 20% off when you register with four or more people. Learn the four places in conversation that create conflict, and how to listen with empathy to yourself and others. Cost: $15/class or $65 for the course. Register before May and pay only $50 for 5 weeks. For courses, workshops and special events pre-registration is required. When registering, please include your name, telephone # and e-mail and include the full payment of the program. For all programs at all centers make checks payable to Yoga On Main and please include the program name on your check. You can also register by phone, or e-mail using Master Card or Visa. We invite parents and children to join us July 3-11 in Virginia for Family HEART Camp 2010. Family HEART Camp is an unforgettable one-week immersion in Nonviolent Communication for families, held in an oasis of natural beauty near Washington DC. Have fun, enjoy community, and learn to more deeply live your values, in ways that contribute to aliveness, love, and joy. See http://familyheartcamp.org and register today! Only about 25% of smokers who try to quit on their own succeed; this number more than doubles by adding the use of hypnotism, which can help by removing the unconscious drive to smoke. Add ear acupuncture, which can decrease the physical withdrawal symptoms, and your chance at succeeding easily and safely greatly increases. This hour and a half class is an experiential introduction: you�ll experience a light trance and find out about what acupuncture can do for smokers, so you can decide whether or not this process (which usually takes about four sessions) is for you. First Thursdays of the Month at Rivers Manor. Email Max Rivers to Register or ask questions. This Class requires a committment to all six classes. Package Deal Special Offer: $100 for six classes to anyone who pre-pays before the first class or $150 on first day of class. Your First Class Special Offer: If this is your first NVC Class ever, it's free! Package Deal Special Offer: $75 for six classes to anyone who pre-pays before the first class. Curious about NVC? Here's an introduction that will not only answer your questions, it will teach you the key skills. NVC suggests that there are two questions you want to ask yourself when you want your child to do something: 1) What do you want them to do; 2) Why do you want them to do it? Learning to parent from a needs perspective - yours and your child's is a simple shift that has far-reaching impact. Come and learn what other parents are raving about. Whether you're married, dating or still looking, it's important to know how to speak about your needs and listen to another's. Learn some simple skills that create intimacy and connection - guaranteed. Where: Rivers Manor, E. Mt. Airy. Help us kick off the 2010 season with Non Violent trainings for all of our constituencies. Tell your friends, bring your spouses, fund your employees, and let the word out! Info:It is not necessary to register for the full conference to attend this pre-conference workshop. The registration fee is $65.00 and registration forms can be downloaded at www.sophe.org. you can be. The one you really are. Come and get your YANG on! Requirement: You must call Max and be interviewed to be admitted. Bring lunch if you wish. Package Deal Special Offer: $40 for four classes to anyone who pays before first class (two free classes). $50 if you pay on the first class or $60 if you pay for every class. Great class last night. I feel it with me today � tell Max. He exudes such faith and possibility. Speaking NVC: Learn the four places in conversation that create conflict, and how to do them in a way that is a win for everyone!. Package Deal Special Offer: $60 for five classes to anyone who pays before the first class (three free classes). $85 if you pay for all six on the first class or $100 if you pay for every class. Curious about NVC? Here's an afternoon intensive that will not only answer your questions, it will teach you a few key skills. A nine-week course based on Nonviolent Communications�A Language of Life by Dr. Marshall Rosenberg. .
Goal: Improve your ability to understand and identify your and others' feelings and needs, be empathic to yourself and others, and express requests, anger, and appreciations. Info: For more information and to register please contact Steffen at nvc421@brabeck27.com or 856-656-0568. Saturday and Sunday: $270 (includes simple vegetarian lunches). $25 early-bird discount if you register before May 8. With sign up before May 8, you pay $270 for the whole weekend and can bring a friend or family member for only half the full weekend price. Facilitator: Martha Lasley is a certified trainer for the Center for Nonviolent Communication, a global organization that helps people connect compassionately. Martha is the author of two books: Courageous Visions and Facilitating with Heart. John and Ike have each been training with NVC for 10 years and have been developing and evolving their mediation approach for the past 7 years, beginning with a journey together to the Pakistan-Afghanistan border to work with Afghan tribal elders in 2002, shortly after the bombings following 9/11. From this experience they saw first hand that despite cultural differences and multiple language translations, the NVC mediation process produced connection and collaborative resolution, even with a real dispute that came alive in the room during the training. For more information about John and Ike, visit their websites, www.johnkinyon.com and www.wordsthatwork.us. Learn the basics of NVC: Non-Violent Communication, also called Compassionate Communication. In this free introduction, we'll teach you enough basic concepts for you to be able to see how you and those around you could negotiate win-win solutions to just about any situation. Cost: Free - By Invitation only! You must call to pre-register! Bring your real-life couples or personal conflicts, and we'll work together as a group, using NVC and Teamwork Mediation, to help you resolve them. This will be an opportunity for couples who can't afford Couples Mediation or don't need a whole series of private sessions to receive help resolving issues too big for your current skills, but small enough to work out in a single, group session. Attendees report learning as much or more from observing others as they do when it's their turn to mediate. You must fill out an online intake form by the day before the class you want to attend (takes 5 minutes). Click this link: Group Mediation Intake Form or call 215-266-0598 to make reservation. Teen Talk: How to talk to your parents so they stop treating you like a kid; how to talk to your friends when you feel tongue-tied. Requirement: You must have worked with Max as a couple in mediation, or at least one of you must have attended a Foundations NVC class. Annie Hart has traveled around the world and learned from many amazing mentors. She is trained in NVC, NLP, expressive arts and few other interesting things. She is a masterful storyteller, avid knitter and all around fun human being! Annie has a passionate interest in communication and personal change. Is talking to your parents like talking to a wall, sometimes? Do you feel like they still talk to you like you're a child? Does even the simplest request, no matter how important, often end up in a fight? In the second two weeks, we'll show you how to apply your new skills to those moments with friends and classmates when you know you want to say something, but it's hard to know just how to say it. We'll also work on how to respond to mean or hurtful things other people say to you. Philadelphia High School juniors and seniors will get 6 hours of community service upon completing the four classes. Do you spend the precious little "quality" time you have with your kids fighting over every little thing? Do you find yourself resorting to punishment or bribery to get them to do things? Does it feel like you're missing some key skill to bring peace in your home? In this four-week class, we'll teach you (and your spouse - bring them for free) a few, simple-to-master skills that will empower you to communicate with young people successfully. Using NVC*, Non-violent Communication, you'll learn how to respond to the young people in your life in a way that can transform potential conflict into win-win situations. Bring your real - life challenges and we'll help you develop new ways of dealing with old stuck places. "Compassion is an Inside Job: Using the Gifts of Nonviolent Communication to Transform Self-Judgment to Self-Appreciation"
Dear everyone, More than just a luxury in ordinary times, Compassionate Communication skills are more important than ever in our rapidly changing world. While many people are experiencing stress or worry about conditions in today's world -- the state of the economy, for instance -- more and more are recognizing that in order to gracefully weather the chaos, skills to communicate and connect are extremely valuable. Compassionate Communication is much more than a communication process -- it is a way of life that can be applied in any situation to bring about more peace, harmony and mutual respect... that can resolve any conflict to everyone's satisfaction. Is that something that sounds attractive to you? Would you enjoy developing those skills within yourself? If so, I invite you to join Bob Wentworth and me for a fun and experiential workshop. To register or ask questions, contact Bob at bob@wentworth.bz or 703-472-3647. Package Deal Special Offer: $60 for six classes to anyone who pays before the start of the first class (two free classes). $75 if you pay for all six on the first class (one free class) or $90 if you pay for every class. Foundations 1 members Special Offer: $45 for Foundations II classes if prepaid. Special Offer: Prepay for workshop and 6 Foundation II Practice classes and get two class free! Pre-Pay Special Offer: $60 if you pre-pay. Foundations I of II members Special Offer: $45 for Foundations III workshop if you pre-pay, $60 day of workshop..
First Class Special Offer: If this is your first NVC Class, it's free! Time: Fri Eve 6:30-9:30pm; Sat & Sun 10am-6pm. Friday and Saturday is $125-$175. Friday and Saturday and Sunday is $195-$295. Register by September 14th for a 10% discount. Who: This weekend intensive is designed to work both for people with no previous NVC exposure, as well as NVC practicianers at any level. How: Call 215-266-0598 or email Rivers Mediation to register. Learn to see conflict as opportunity! When: Wednesday's in Sept 17, 24, and Oct 1.
Who: Parents or teachers interested in exploring NVC in your relationships with young people. Bring your real life situations, and through role-play, dyads, group support and coaching we'll help you develop new ways of dealing with old stuck places. Participants will be paired up with each other for support calls during the week to help you keep using your new skills. We may extend the support group process beyond the 4 weeks if participants desire. All couples have disagreements, but why? Did you know that research now shows the single best indicator of divorce is the way a couple speaks to each other? In this class we'll explain what causes conflict, and teach you a few easy-to-learn techniques that will turn 80% of those potential arguments into opportunities for greater intimacy, instead of frustration and anger. The instructors will share with you their skills as professional couples mediators and NVC* instructors. Bring your spouse or come alone. This class will also be helpful for people between relationships seeking to improve their partnership skills. Gina Lawrie United Kingdom Co-creator of the NVC Dance Floors. Jeff Brown United States North American distributor of NVC Dance Floors. Henry Wai Canada 22 years experience as trainer/educator. Join us for a special opportunity to deepen your practice of Nonviolent Communication using the NVC Dance Floors. Incorporating movement, visual and kinesthetic learning, the Dance Floors are spatial floor maps that people move through to experience and learn the NVC process. Designed for those who want to deepen their NVC practice, and for those who share NVC and wish to use a creative, interactive teaching method. Intro to Couples Mediation on South Street! Where: Cecilian Center on Carpenter St in E. Mt. Airy. NVC: The Dance of "No"
Learn How to Hear the "Yes" in someone's "No"
- How to find the "Yes" in someone's "No"
- Learning that "No" isn't the end of the conversation, it's the beginning of the negotiation. This is the first of two, day-long "Dance" workshops. In this one we'll focus on how to "hear" a 'no' in a way that creates a win-win solution for both parties. In the next workshop we'll learn how to say 'no' in a way that creates connection instead of conflict. In both workshops we'll be using games, chanting, dance and play to make the learning fun and easy. This class is designed for existing students of NVC who are willing to spend the month of April dedicating 10-20 minutes every day working with an NVC buddy, getting and giving empathy about your real-life issues. Many people experience a correlation between self-empathy and how well we are able to stay in "NVC Consciousness." For many of us, the ability to Self-Empathize represents a key to integrating NVC into our lives and significant relationships. We learn that our ability to self empathize becomes a requisite skill for Living NVC Consciousness. Deep Empathy, Dialogue, Mediation, Being an NVC Trainer, and perhaps most importantly, knowing what we want to do versus what we think we should do, all are supported by our skills in Self-Empathy. This workshop is an opportunity to understand and practice Self-Empathy at a new level and identify practices you can use for the rest of your Life, as an NVC practitioner and as a Human. When: Thursday to Sunday, March 27th (starts at 2:00 PM), 28th, 29th and 30th (Ends at 3:00 PM). This is an Intermediate/Advanced training. Beginner track option is available with consultation and agreement. Please call Thom Bond at 212 496 3111 if you are interested in this option. Where: Menla Mountain Retreat Center in Woodland Valley near Phoenicia, NY. Cost:$375 tuition, $325-$560 lodging depending on accommodations. If you can�t afford the tuition please contact us to figure something out. We offer payment plans, work exchange, scholarships or other strategies yet unconsidered. To Schedule a Registration call or go to www.thombond.com to immediately schedule a call online. .
Info: RiversMediation@aol.com or Call Max at 215-266-0598. For December, we'll be having a pre-holiday NVC party/class/NVC at the Movies! Just in time for the holidays, we'll be doing a class on how to use NVC to get the most out of spending time with friends and family. We'll be showing segments of a holiday movie that demonstrates the challenges of being fully yourself when you're with people who "knew you way back when..." and we'll make a party of it, with popcorn, and snacks. Max Rivers of Two Rivers Mediation are professional couples mediators who turned their extensive experience mediating in small claims court into a private practice focused on helping couples navigate their difficult conversations. *NVC and Non-Violent Communication are trademarks of CNVC.org and Marshall Rosenberg. Melinda Zipin,MBA, CEO of Assertive Diplomacy? Trainings, shares communication processes with adults, high school students, businesses, the US Army and meditation centers. She brings over 20 years of management consulting and yogic study. A member of the BayNVC 2007 Leadership Program for teachers of Nonviolent Communication?, her passion is to pass on these practical tools for living our values easefully. Recently Melinda has begun offering NVC tools to foster understanding, healing and camaraderie among the diverse people in our lives. No one turned away for lack of funds. Email Melinda if you would like to pay less than $50. Max & Elise Rivers,of Two Rivers Mediation are professional couples mediators who turned their extensive experience mediating in small claims court into a private practice focused on helping couples navigate their difficult conversations. *NVC and Non-Violent Communication are trademarks of CNVC.org and Marshall Rosenberg. Nothing saps energy and drive like self-judgment. Come claim your power and natural vibrancy! Info and Registration: melinda@assertivediplomacy.com No NVC experience needed. Feel free to bring a friend or family member. We'd love for you to join us! 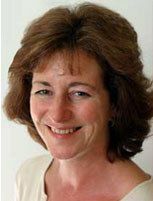 Melinda Zipin teaches communication processes to individuals, businesses, the US Army and meditation centers. She brings over 20 years of management consulting and yogic study. Both facilitators are members of the BayNVC 2007 Leadership Program for teachers of Nonviolent Communication� (see www.cnvc.org). Cost: Sliding Scale 170-250, price negotiable if needed. Info: Registration, questions? E-mail Jason or call 609-790-2430 or Jodi at 215-200-2039. Kelly Bryson, MA, Licensed Marriage & Family Therapist, Certified Nonviolent Communication Trainer. Kelly Bryson MA, MFT author is the author of the best selling book, "Don't be Nice, Be Real - Balancing Passion for Self with Compassion for Others. When we have established our capacity to hear others and ourselves empathically and express ourselves honestly, requests are how we connect to the Life in others and help others understand the Life in us. Requests are the practical tools we can use to deepen understanding and heart connection and transcend conflict in real time in the real world. This is where we use all NVC skills and awareness and in many ways represents the most spiritual part of NVC practice. In advanced practice, requests help us discover our own demands and attachments and give us the opportunity to transform how we move in the world and in our relationships. The workshop is designed to maximize learning through the introduction of concepts followed by exercises and role plays. This is an Intermediate/Advanced training. Beginner track option is available with consultation and agreement. Please call Thom Bond at 212 496 3111 if you are interested in this option. Lodging Bunk style in the house and cabins, camping all around (camping includes sleeping room on the floor in the Community Room). There are four bathrooms, including 2 bath houses. Cost: $400 tuition, $200 lodging and food. If you have money issues please contact Thom Bond at 212 496 3111 to figure something out.� We offer payment plans, work exchange, scholarships or other strategies yet unconsidered. Info: Registration, questions? Contact 215. 200. 2039 or info@phillynvc.org. Cost: $100 for the day. Financial difficulties and accommodations made. INTENTION: To Explore the spirituality inherent in Nonviolent Communication, including experiencing the living energy of needs, our natural state of compassion and love, and a sense of conscious intention. This day will include meditation periods, guided and solo, on needs. people with views quite different from ours, angry feelings can arise. Is it possible to speak authentically AND help heal our divisions? Rosenberg,PhD. What we say next will change our world. Offered by Melinda Zipin, MBA, CEO of Assertive Diplomacy™ Trainings. practical tools for living our values. Mahatma Gandhi advised, "Be the change you wish to see in the world." makes this do-able for everyday people. use the 4-step process to practice Speaking Peace. Led by Melinda Zipin, MBA, CEO of Assertive Diplomacy™ Trainings. practical tools for living our values easefully. Bonus Session: On Monday Robert will give a special one-day session, which will cover more advanced applications of NVC. Potential topics will be NVC as a Spiritual Practice, Transforming the Pain of Unmet Needs into the Beauty of Needs, or Understanding and Transforming Core Belief Structures. Exact Topic and structure of the day will be decided based upon participant’s requests. with clients, with loved ones, with friends. Multiple concurrent sessions daily: Each day, multiple sessions will be offered at each time period so that participants will have many opportunities to select those topics that best meet their needs. so early registration is important.